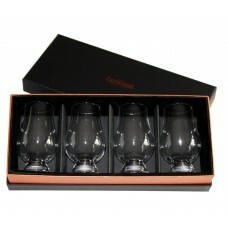 Notice the design of the glass, the tapering mouth allows an ease of capturing the aromas on the nose. 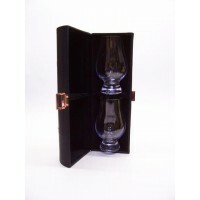 The wide bowl allows for the fullest appreciation of the whisky's color. 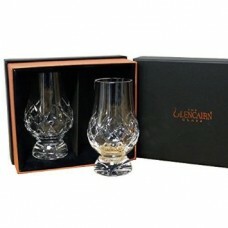 This truly makes this "The Official Whisky Glass"
These glasses are the Official Glencairn Glasses from the Glencairn Crystal factory in Scotland. 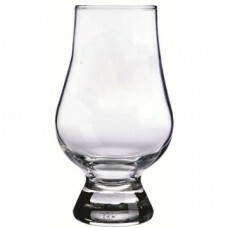 The bottom of each glass is engraved with "The Glencairn Glass"